As I slowly get back into a new rhythm and some new directions for Cooks&Books&Recipes (more details on that to come), I wanted to start things off with a bang. So I’m helping my friend Anyonita over at Anyonita Nibbles celebrate her 7 years of blogging (you go, girl!!) by sharing in a $50 Cash for Summer Fun Giveaway. To celebrate Anyonita Nibbles’s 7th blog birthday, I, along with 5 other fantastic bloggers, will give you the chance to win $50 USD in cash paid via Paypal!! What would you do with $50 cash???? Ronda is a family-friendly food blogger at Kitchen Dreaming, who can show you how to take the foods your family loves and make them quicker & easier to prepare like these Easy Beef Empanadas. 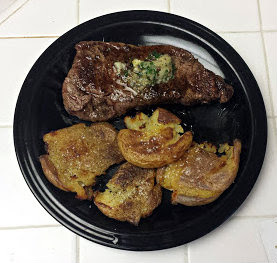 Sarah is a food blogger at Sarah Cooks the Books, a cookbook collector and fiction novelist who makes recipes that are easy and delicious, like this Whole30 strip steak with salt-and-vinegar smashed potatoes. Megin is the creator of VMG206, where she shares ways to create and live a beautiful life like with these last minute scrumptious cream cheese danishes. Natasha is a single mom and lifestyle blogger at Epic Mommy Adventures sharing advice to help other single parents like these 9 tips to have a better relationship with your baby daddy! And lastly, the blog birthday girl: Anyonita! 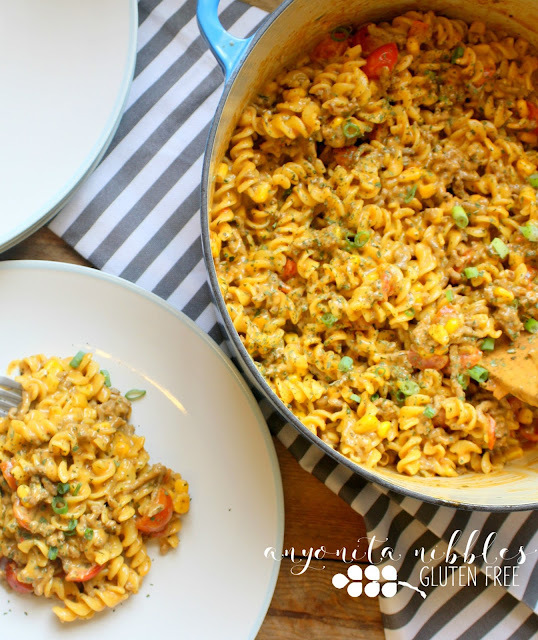 She blogs at Anyonita Nibbles where she writes a gluten free food blog full of quick recipes you won’t believe don’t contain gluten like this 15 minute gluten free one pot taco pasta! To even stand a chance at winning, you need to enter! Here’s how you do that: simply follow the prompts in the widget below to enter. There are some actions you can do only once, like following me on Instagram or Pinterest, but there are other options that you can do every day the giveaway is live, such as tweeting about it! Choose as many options as you’d like–the more you do, the greater your chances are of winning! I’m getting some organic makeup. IF I won, I would spend the $50 on Amazon for cake supplies!! I would spend it on a fun day trip with my kids!! I will spend it on groceries! I’d share this with my 18 year old….she’ll be heading off to college for her 2nd year in the Fall….school supplies! I am getting to some myclothes. I need new window treatments for my very oddly shaped windows and would put the $50 towards that if I won. I would use it to take my hubby out to dinner for a date night! Date nights are way more expensive now that we need to pay for a babysitter too! I would take my husband out for a nice dinner. I would use it towards extra groceries for the 4th of July holiday.